An illustrated storybook for the little ones, that's more than just another bedtime story. As the story unfolds, man's different responses to God are reflected by the animal's different responses to the ranger. So it introduces concepts such as God as our creator, obedience, rescue and grace. What's more, at the end of each chapter there's a section titled 'What's inside this story?' which explores the meaning. 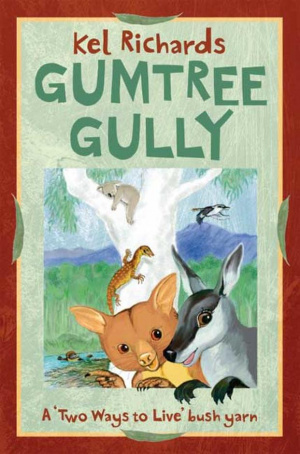 Packed with full colour illustrations throughout, 'Gumtree Gully' is an ideal school scripture resource. It has a timeless message that we hope you'll read to your kids, and they'll read to theirs. Gumtree Gully by Kel Richards was published by Matthias Media in December 2005 and is our 26975th best seller. The ISBN for Gumtree Gully is 9781921068119. Be the first to review Gumtree Gully! Got a question? No problem! Just click here to ask us about Gumtree Gully.